UBC member and former U.S. Marine, Justin Snyder. After active duty in the Marines from 2013-2017, Justin Snyder learned about Helmets to Hardhats (H2H) during his Marines transition course. 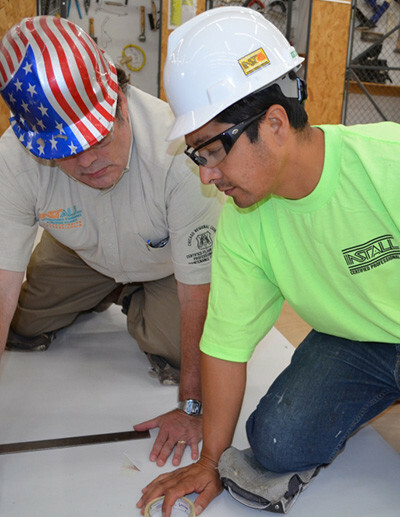 H2H, a 15-year old program, connects veterans with training and jobs in the construction industry. 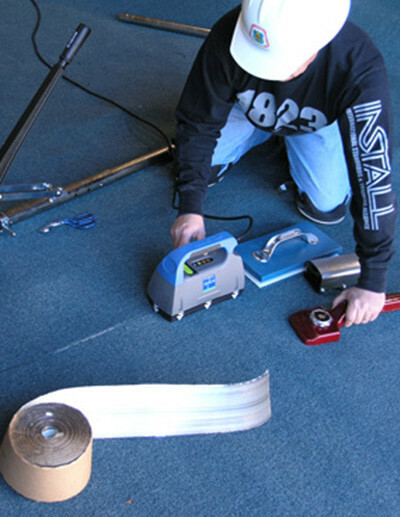 Snyder filled out his H2H application even before his discharge and thanks to the UBC’s INSTALL flooring industry alliance and training program, his career search was nearly seamless. Snyder is now a member of Local 1382, part of the North Central States Regional Council of Carpenters. 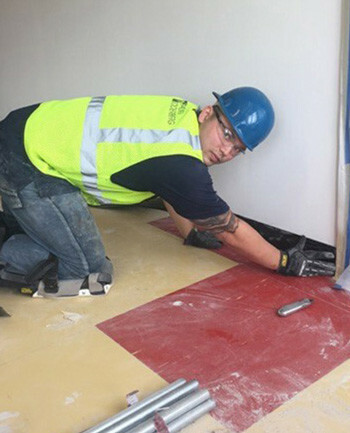 As part of the floorlaying crew at Palmer Soderberg of Rochester, Minnesota, Snyder has worked on projects in Wisconsin; at The Mayo Clinic in Rochester; and at a local elementary school. The Brotherhood has long partnered with H2H, but INSTALL has taken a special interest in the program. 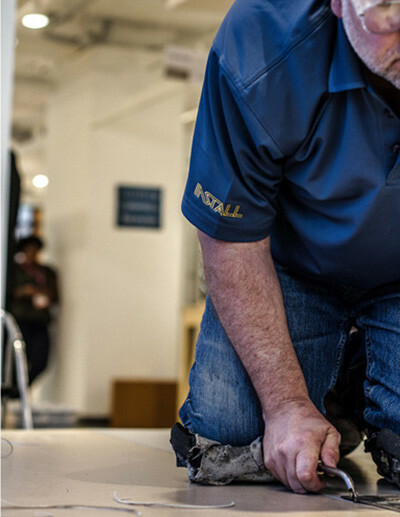 INSTALL is a North American alliance of flooring mills, manufacturers, consultants, associations, contractors, and UBC membership that work together to ensure superior flooring installations and provide comprehensive training through UBC programs. For more information on INSTALL, CLICK HERE. Helmets to Hardhats is a national, nonprofit program that connects National Guard, Reserve, retired and transitioning active-duty military service members with skilled training and quality career opportunities in the construction industry. Men and women transitioning out of the service can find the training that leads to good-paying jobs as union carpenters through the H2H program. H2H not only places vets on a fast track to union apprenticeship but most importantly into a career. For more information on H2H, CLICK HERE. To read the full article in the 2017 Carpenter, CLICK HERE for the U.S edition or CLICK HERE for the Canadian edition and then scroll to page 25.